First of all: Congratulations to Lady Antebellum on winning “Group Of The Year” and “Single Of The Year” for “Downtown” at the American Country Awards yesterday! I’m such a proud fan! 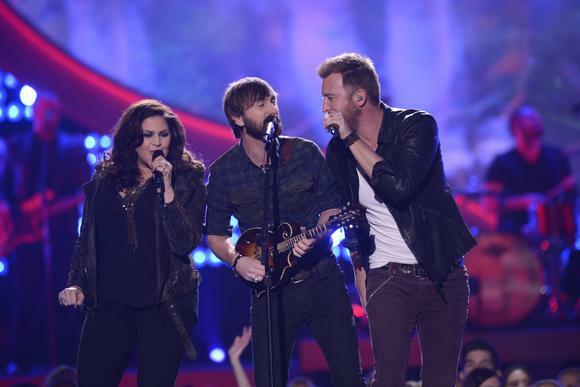 Lady Antebellum also got the award for “Best Country Duo or Group” at the American Music Awards a little while back. (I know I’ve been really bad with updating and i PROMISE to be better in 2014! Like really!). So proud to call myself a fan of these three amazing people. How awsome do they look? Yeah I know right, flawless humans! And Hillary’s dress is to die for! Charles and Dave look handsome! They performed their new single “Compass” and it was so amazing! The music video for “Compass” is also out and it’s amazing! Looks like a lot of fun being a part of it all! 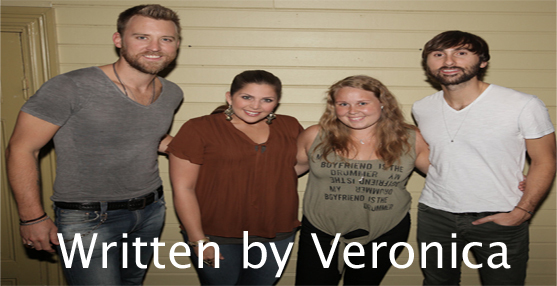 Please, visit www.ladyantebellum.com and register for a VIP or Digital Membership. And to be updated on their “Take Me Downtown Tour 2014”. -Veronica (who will promise to be better at updating from now on). Have no fear, Dave Haywood is here! Showing us in this weeks Webisode how to play “Compass” on your guitar. Thank you Dave for again taking the time to show us Lady Aers how to be a pro on the guitar. We LOVE you! 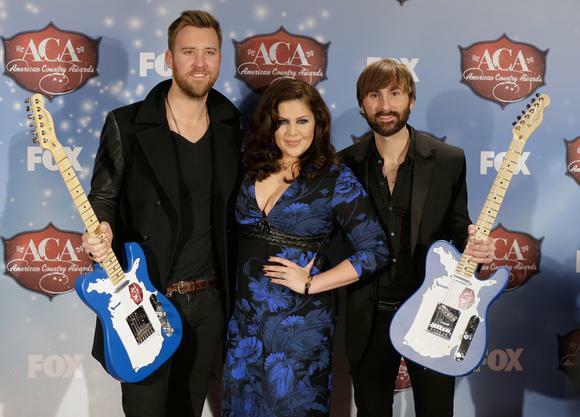 Pick up your guitar and hopefully Lady Antebellum guitar pick and learn from the best! 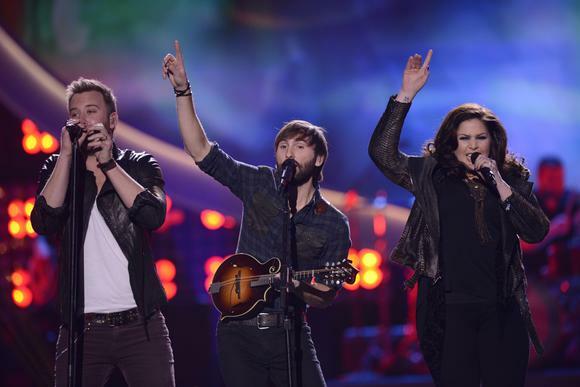 Lady Antebellum is also performing “Compass” at the 47th Country Music Association Awards!!! That’s really amazing and we can’t wait to see them perform and hopefully win what they are nominated in (crossing fingers and toes and feet). Tomorrow Hillary is hosting the 2nd annual myLIFEspeaks fundraiser. Go to their sites and see all the items you can bid on HERE. Monday September 30th there’ll be a Facebook Chat Session with Lady Antebellum. Time is 2pm Central (That is 21:00 Norwegian time and 20:00 U.K. time) if I’m not completely wrong. There’s going to be a BIG announcement as well, so be in Facebook in Monday in time. I’m gonna be online in time! Hopefully you be as well. What can the big announcement be? I really hope there’s a European tour they are going to announce. Fingers crossed, anyway Lady Antebellum announcements are always exciting. Hope everyone is tuning in on Facebook tomorrow! There has not been any webisodes these two past weeks. But DAVE had his birthday July 5th, so happy late birthday Dave. You are one awsome guy and thank you for being such a wonderful inspiration. Love you. Now we are only waiting for Hillary’s baby to arrive, little sweet Princess Tyrrell. I hope we get the news soon. 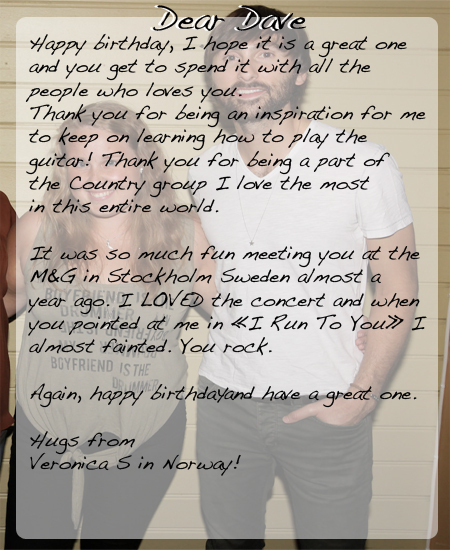 A little update from Lady A Team Norway who is over excited for the baby to arrive. This weeks webisode and a very funny close up serinade by Lady Antebellum. It’s here, it’s out and it’s PERFECTION from the 1st song to the last one. Music and Lyrics is so well made and the vocals, harmonies and everything is done with such brilliance it shouldn’t be legal to be as amazing as Lady Antebellum. When they first deliver an album, they do it with style and this is their 4th album and it’s a good mix between their first album and the other albums. They are still keeping it country and we like it, more back to the roots as their first album. The whole album is what they say; a more roll down your windows and sing out loud songs and it’s so perfect for a road trip and on the beach summer time. 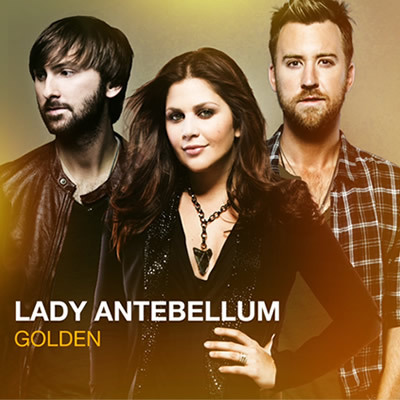 Lady Antebellum has after my opinion done something most artists almost can’t manage and that is to make their 4th album just as good, if not even better than the other albums. I just have to say: CONGRATULATIONS to Lady Antebellum on a job well done! I can’t wait to see you live in concert with these new songs. Lady Antebellum has also been on ELLEN show today: Watch a clip from the show HERE. They have also been on Good Morning America and they are appearing on: Late Night With Jimmy Fallon TWO nights. Read more news on their webiste HERE. There’s lyric for their songs out, here is the links to each song. Also read Hillay’s interview with Womanista.